Many parents raising children with autism experience higher levels of anxiety over the spectrum of their child’s additional needs; often from the moment they first suspect the diagnosis. It is crucial that parents know their rights, can advocate for their child and understand their child’s strengths and abilities. It is also vital that they can access support which focuses on building their resilience and confidence. During the past decade we have seen an immense growth in the development of early intervention approaches aimed at improving long-term outcomes for children with autism. Most of these approaches focus solely on improving outcomes for the child, with less emphasis on outcomes for the parents and family as a whole. Quality of life for a family of a child with autism is important but is rarely an objective of an intervention. Parental well-being is most frequently measured using scales of parental mental health and stress. We believe it should focus more on positive emotions and coping strategies. Increased attention should be given to the specific needs of a family, in order to provide a holistic approach which delivers positive impact on desired outcomes such as increasing parenting self-efficacy and improving parent-child relationships; which in turn reduce stress and anxiety for the family. At BeyondAutism, our Early Years’ service is dedicated to working towards these outcomes and championing parent resilience from the very early stages of parenting. Our structure is designed to provide parents with an essential peer support system. 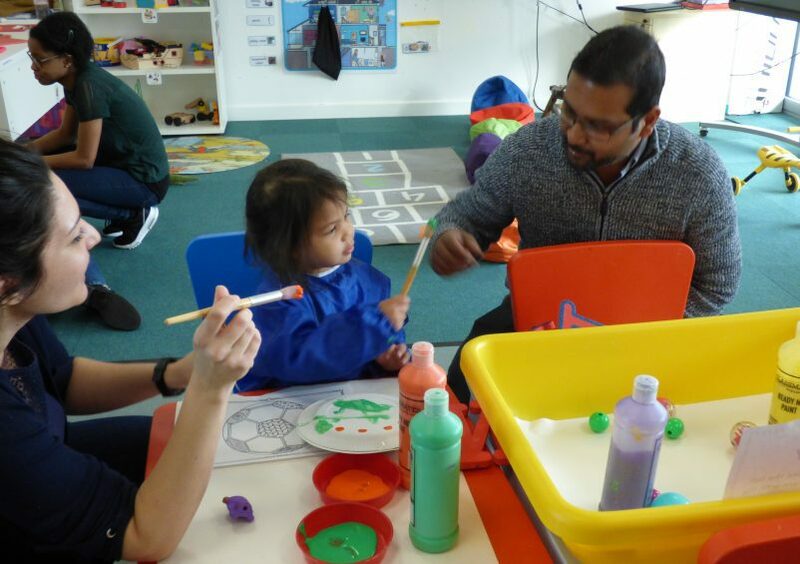 In the sessions, parents help their child to develop and learn, and with our support families gain access to desired services and activities in the community. We are keen to understand what the children can do, what are they good at and we celebrate their success every day. The service aims to empower the parents, grandparents and siblings, by focusing on individualised coping strategies that can help the family and the child succeed. By building their confidence when their children are young, they feel more empowered and self-sufficient, which reduces later reliance on professionals. 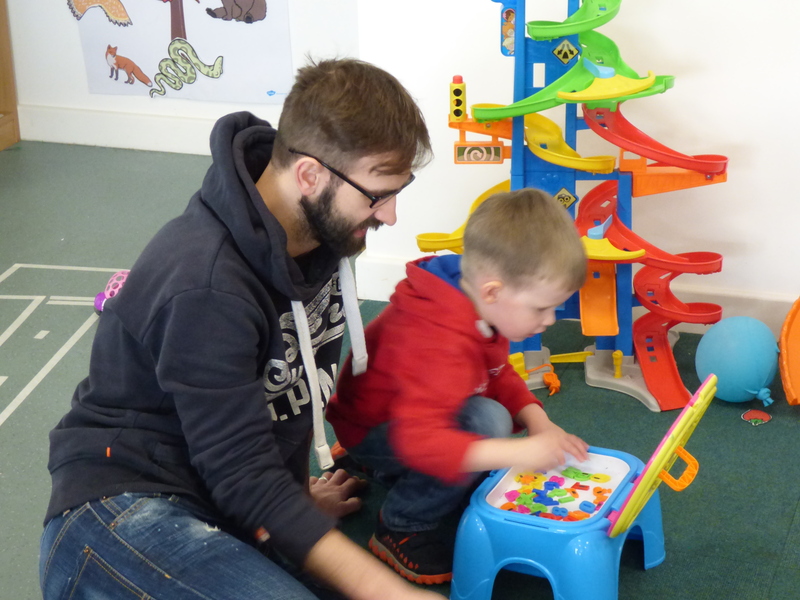 The team develop targets around communication, behaviour, developmental play or key learning skills for the children and on supporting communication, behaviour management strategies, and promoting play and learning for the parents. These targets are always developed with input from the families, in order to have maximum impact and be the most socially significant to the family. In addition to the practical training delivered by the Tutors, Behaviour Analyst and Teacher; parents also attend theory training with the Behaviour Analyst each session. All training is geared towards building parent confidence and working on the issues they find most challenging at home. Breaking down these barriers creates new opportunities for their child and reduces parental anxiety. Each training session follows with an active parent discussion where everyone is encouraged to ask questions and share their stories to support the group. Each family is at different stages on their journey. Some have already experienced what others are currently going through and it is fantastic to see bonds developing and parents who have been attending for a while giving support and guidance to newer families within the group. We are extremely happy with the impact the service is having so far. The growing waiting list shows an evident need which inspires us to constantly think about expanding the service to be able to provide support to more families.